I was rather anxious while waiting for my tutor’s feedback on my assignment 2. I had gone outside my comfort zone and chosen to do raw materials of food. (In retrospect, I should have stayed with my initial idea of doing landscape). While I enjoyed doing the assignment I couldn’t help but feel rather restricted in interpreting raw food in an arty way. I had looked at various food photographers and cooking books and tried to base my interpretations on that type of photography. My tutor was rather critical and said that although my photographs do fulfill the design considerations of the brief they were very tame and reminded him of supermarket photography. He had, during assignment 1 feedback, told me to look at Laura Letinsky’s work and especially the way she makes use of planes. I did so, but obviously I did not have the correct understanding of “planes” and got it wrong in this assignment. I have now clarified this with my tutor and have a better understanding of this technique. As far as the mood and the lighting of my photographs went, he said I made a fairly accomplished assignment. He liked the idea of placing the aubergine in a frame and creating a frame within a frame. The design was emphasized well with the light and dark areas. The second point is quite peripheral. He suggested placing the objects together like two people talking to each other. The light and dark areas work well in the composition, but the bright white background is competing with the star shape of the squash. 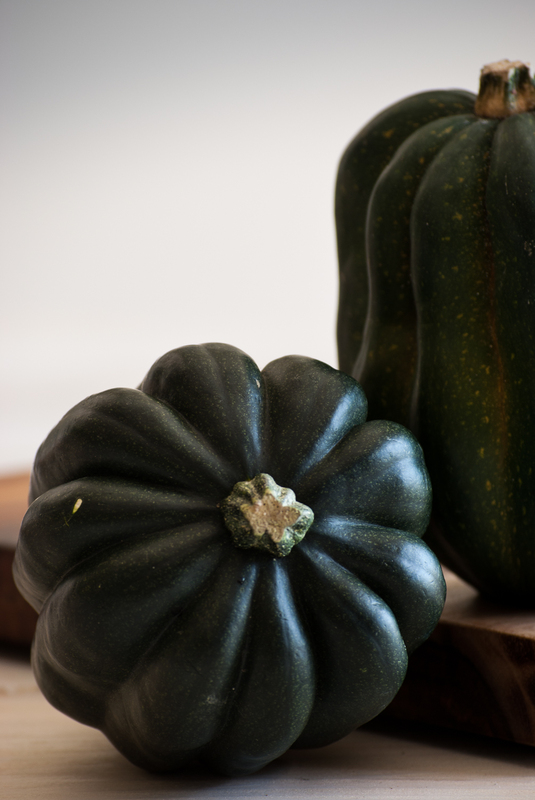 He suggests that if the background is toned down a bit, the form of the squash would be more emphasized. My response: I subsequently did a quick test on a copy of the image and found that the star is brought out more if the background is a tad grayer. So I will come back to this image at a later date. There were too many points to make out the two intersecting triangles. My response: my objective was to make photographs that did not look too contrived. The idea behind this photograph was that I wanted it to look as if I was busy in the kitchen chopping onions and had been interrupted and had to step away from the chopping board. In practice I do usually line beans, carrots, onions, etc up like this when dicing and slicing. This was one of my more successful images. 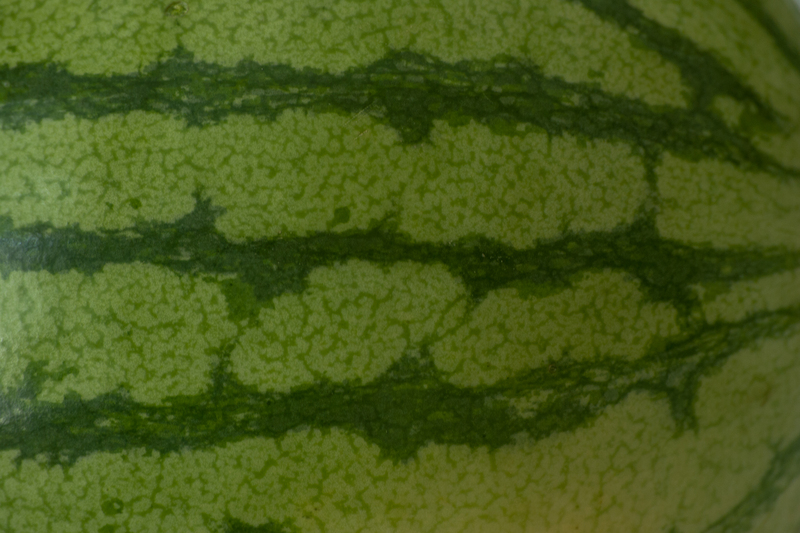 My tutor commented on the fact that the curve was fading into background too much and thereby more emphasis was on the pattern of the watermelon than the curve. “You’ve combined way too many shapes here that are competing with each other.” It seems that the colander and the cutting board were competing with the peppers and overwhelming their shapes. I should probably have used less props with this image and singled out one pepper. My tutor liked this image, but drew my attention to the fact that the light behind the fennel at top left was a bit too bright. 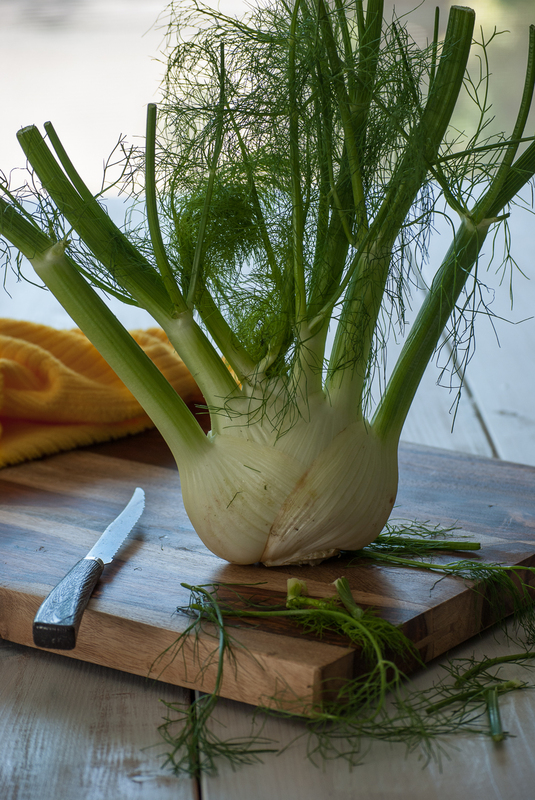 I should have positioned the fennel so that the backlighting was more behind the fennel. The yellow cloth was also too bright and the knife was picking up a bright highlight. My response: Point taken about the yellow cloth. In hindsight I do agree with that. I also take the point about the knife being a bit bright. However, it wasn’t clipping any highlights on my histogram and I had burned the blade quite a bit, but obviously not enough. My tutor said that my beetroot image is more of a triangle than an implied triangle and that an implied triangle is three more or less equidistant points. (Yet the course material states on page 90 that “Basically, any three prominent points imply a triangle”.) My second photo is not an implied triangle at all as he says it doesn’t have three distinct points but many more that move in a circle. My response: I tend to disagree with the last statement. I had taken the trouble to poll a few people when compiling my images and asked them to comment on what geometric shape they saw in the image and all saw a triangle. I will probably revisit these two images later. The eggs were a good example of rhythm. I was advised not to research commercial photographers and take their work as a standard. 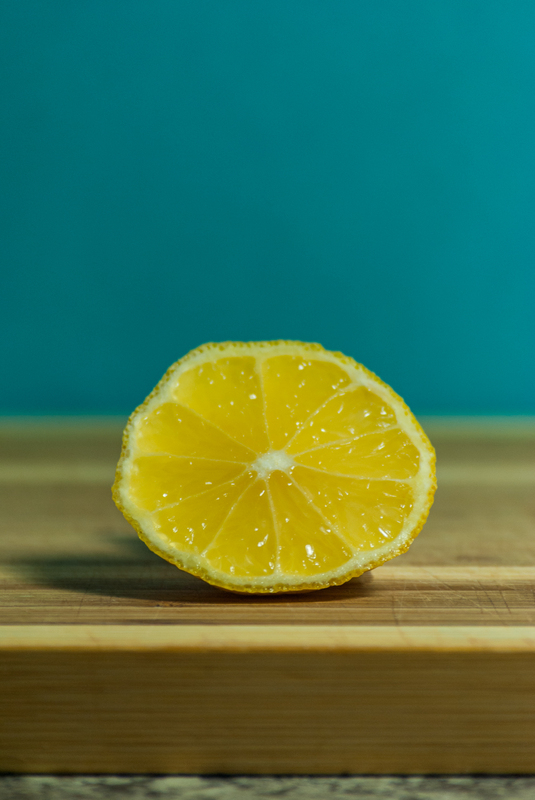 I do have to admit there were hardly any journals on food photography in Jstor, so any suggestions where to find fine art food photographers would be very welcome. My tutor remarked that my research looked good. He noticed that I had put up a couple of reviews of William Eggleston and Stephen Shore, but was concerned that I had not responded personally to Eggleston’s work. In my defence, my research on Eggleston is actually for assignment 3 and I had only commented on two documentaries that I had watched shortly after submitting assignment 2. I have yet to respond on his work, which I am planning on doing in more detail before assignment 3. This entry was posted in Assignment 2 and tagged assignment 2 on September 5, 2014 by lynda512863. As the time is drawing closer to assessment, I have been looking back on my blog and realised that I had commented in my feedback to my tutor’s report that I would address a few images. My tutor remarked that the second point is quite peripheral. He suggested placing the objects together like two people talking to each other. The light and dark areas work well in the composition, but the bright white background is competing with the star shape of the squash. He suggests that if the background is toned down a bit, the form of the squash would be more emphasized. Winter squash is now out of season, so I have not redone this shot, but have done the post processing that was suggested. My tutor commented on the fact that the curve was fading into background too much and thereby more emphasis was on the pattern of the watermelon than the curve. To fix this I added a local adjustment to the background to bring the exposure and highlights down. 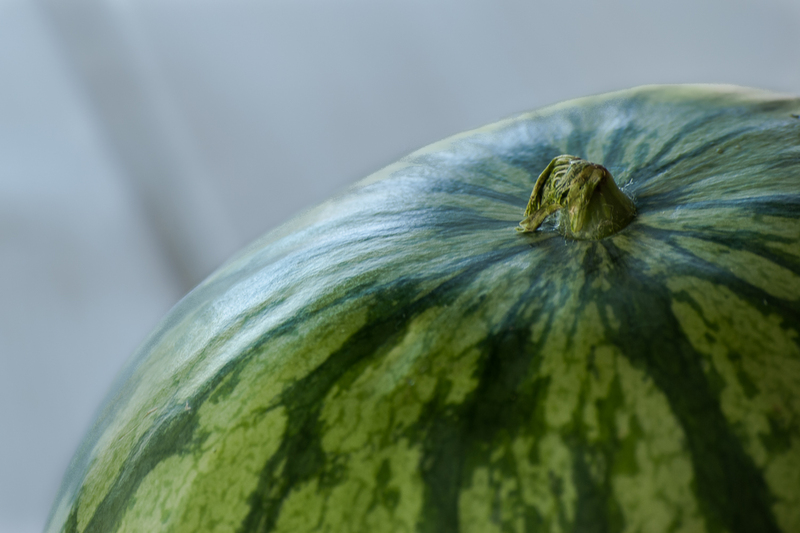 I also added a couple of local exposure adjustments to the edge of the watermelon to emphasis the curve better. My tutor had commented that I had too many competing shapes in the original submission so I have replaced the original image with this one (Fig 07), which was taken at the same time. It highlights the shape of the individual pepper which is separated out from the peppers in the background. 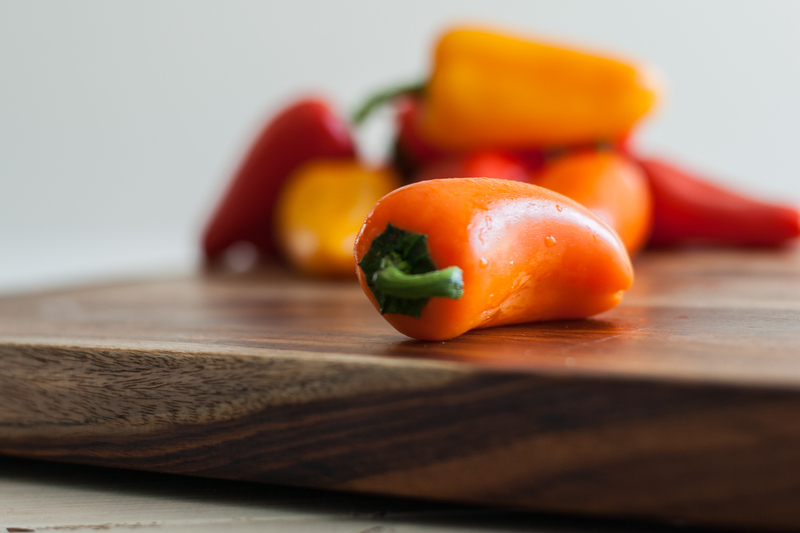 The curve of the pepper is accentuated by the light catching the edge of the pepper. In post processing I brought down the exposure and highlights of this highlighted section by applying a local adjustment to the highlight. Hopefully this is an improvement on the previous image. My tutor liked this image but remarked that the light behind the fennel was too bright. The yellow cloth and knife were also too bright. I have done local exposure adjustments to rectify this. My tutor said that my beetroot image is more of a triangle than an implied triangle and that an implied triangle is three more or less equidistant points. Furthermore, my second photo is not an implied triangle at all as he says it doesn’t have three distinct points but many more that move in a circle. I have retaken the implied triangle photos. Fig 09 featured many implied triangles within a circle. Post processing involved increasing exposure by half a stop, decreasing highlights, boosting the shadows a bit, adding contrast, clarity and a bit of vibrance. 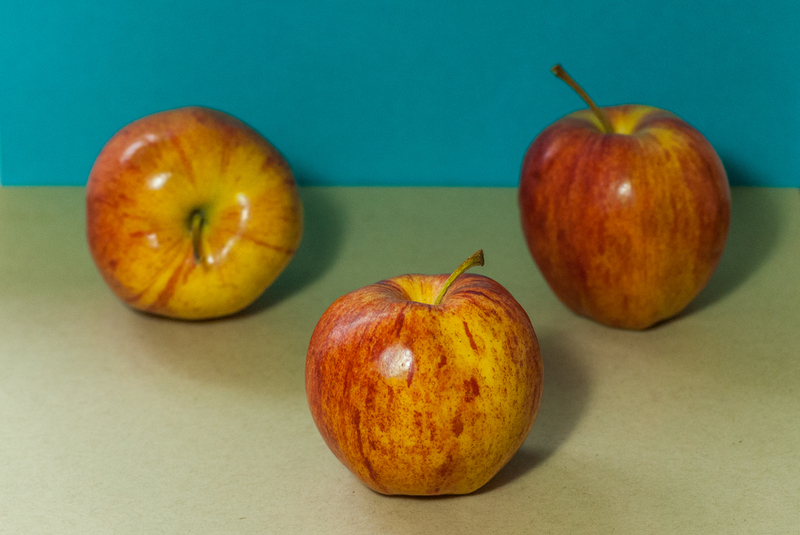 Fig 10 features three apples arranged in an implied triangle. There is separation between all the apples so the implication is there. In post processing shadows were opened up, highlights decreased, exposure increased by a third of a stop and a bit of contrast, clarity and vibrance was added. My tutor thought this image looked underexposed. I have increased the exposure and contrast, opened up the shadows and added a bit of saturation to improve the image (fig 12). Even after these revisions, I am still of the opinion that I really don’t like still-life photography, but I suppose this is something I should try and work on. This entry was posted in Assignment 2 and tagged assignment 2, curves, implied triangles, irregular shape, pattern, points, revisions, rework on August 14, 2014 by lynda512863.